At the recent AWS re:Invent 2018 event, Amazon announced a new Well Architected Tool -- a self-service tool that helps customers review AWS workloads at any time, without the need for an AWS Architect to be present. This new tool uses the AWS Well-Architect Framework launched back in 2015. 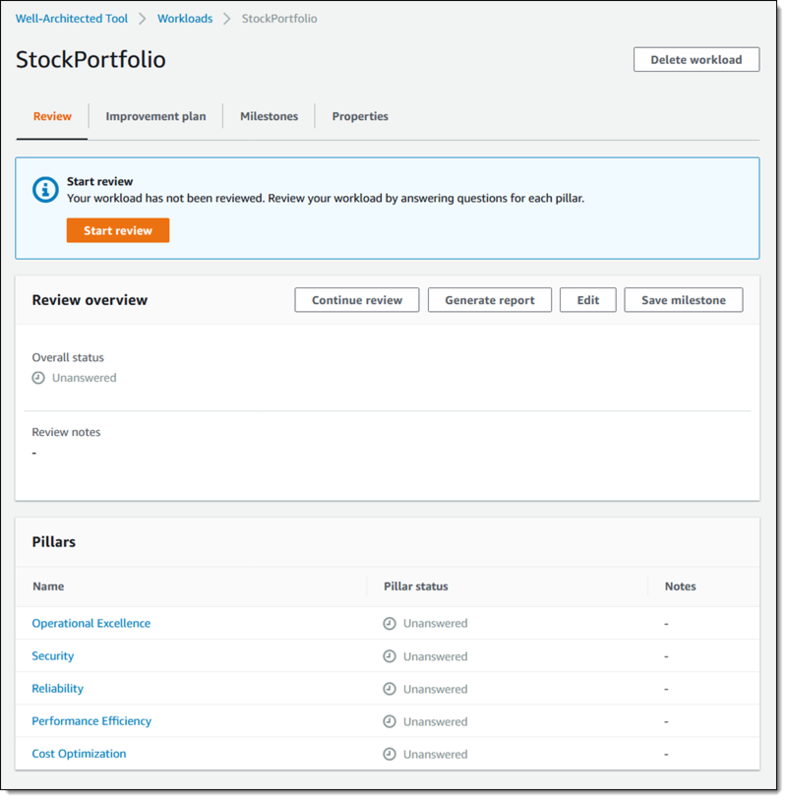 With the new tool customers initially define their AWS workloads, which might consist of a subset of resources in a single AWS account, or be a collection of multiple resources spanning multiple AWS accounts. They can then answer questions designed to review the workload against the best practices specified by the five pillars: Operational Excellence, Security, Reliability, Performance Efficiency, and Cost Optimization. The review process, according to a blog post by Jeff Barr, chief evangelist for AWS, includes educational content that focuses on the most current set of AWS best practices. A typical usage of the tool is to open it via the AWS Well-Architected Tool Console and click "Define Workload" to get started. Next, name and define the workload, specify the industry type and industry, list the regions where to operate, indicate if it is a pre-production or production workload, and optionally enter a list of AWS account IDs to define the span of the workload. After identifying the workload, a user can start the review process. During the review process, the user works through each of the pillars and its questions. Subsequently, after the completion of the review, the user can consult the improvement plan for the AWS workload. In addition, the user can generate a PDF that has a summary of the answers and can observe the progress of the review and overall status in a dashboard. In typical AWS fashion, they decided to create a service to help customers measure how well they are doing in terms of operations, security, reliability, cost optimization and performance efficiency. Customers can run this tool against the AWS services they are using and get a full report of how they measure up against these five factors. Amazing announcement this #ReInvent AWS Well-Architected Tool to Review Workloads Against Best Practices. Very easy and simple to start and a lot more scope for learning. The AWS Well Architected tool is available in US East (N. Virginia), US East (Ohio), US West (Oregon), and Europe (Ireland). More details on pricing of this tool are available on the pricing page.